Sky Chinese Cuisine has quickly became a popular destination for all those looking to experience the real taste of Hong Kong. Open daily from 11.30am - 11.00pm. Chinatown Karaoke restaurant serving up restaurant meals as well as Karaoke. Open every day 7 days a week from 12pm - midnight. A special lunch menu is available Monday - Friday from 12pm until 2.30pm with 2 courses for £8.00 or 3 courses for £9.25. Banquets available for £19.00 or £21.50 per person. 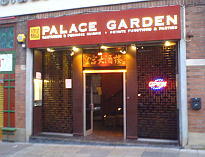 Popular Chinatown restaurant and bar serving a good selection of oriental meals from the Mak brothers Yen and Andrew. 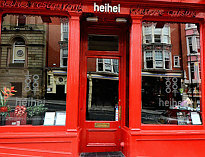 Open every day 12pm - 2pm & 5.30pm - 11pm (Evening food served to 10.30pm). Daily Lunch special £13.00 per person. Special Lunch Banquet offer £23.00 per person. Early Evening menu Sunday - Friday from 5.30pm - 7.30pm for £16.00 per person. 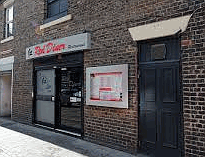 Chinese restaurant that is on the bank leading to the Quayside. There is a happy hour menu with 1 course £7.95 (2 courses £10.95) Monday - Friday 12pm - 2pm/ 5pm - 6.30pm, Saturday 1pm - 5pm, Sunday 3pm - 6.30pm. Open Monday to Friday noon to 2pm & 5pm to late, Saturday 1pm - late, Sunday 5pm -late. 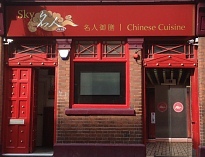 Popular Chinese Restaurant on Stowell Street in the Chinese quarter of town. Open Monday - Sunday 12pm - 11pm. 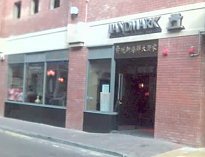 Upmarket Chinese Oriental Kitchen and bar opposite the Copthorne Hotel. Open Sunday - Thursday 5.30pm - 10.30pm, Friday - Saturday 5.30pm - 11.30pm. 3 course Banquet £28.50 per person. Buffet House on Newgate Street opposite to The Gate, offering a large selection of Chinese buffet dishes. Open daily from 11.30am to 10.30pm. Sunrise Buffet 11.30am - 5pm (Pay and leave by 5pm) Monday - Thursday £9.50, Friday - Saturday £9.99, Sunday pound;12.99. Sunset Buffet 5pm - 10.30pm Monday - Thursday £14.50, Friday £14.99, Saturday £15.50, Sunday pound;12.99. Child's Buffet (Under 145cm) Half Price. Seafood and Peking Restaurant on Stowell Street in Chinatown. 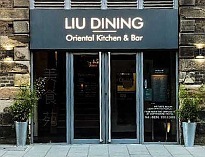 Open daily for Lunch from 12pm to 1.45pm, Evening 5.45pm - 10.30pm. Neptune Lunch menu £10.00 per person. King Lunch Banquet £16.00 per person. Early Evening Special 2 courses £12.95 or 3 courses £14.95 per person.